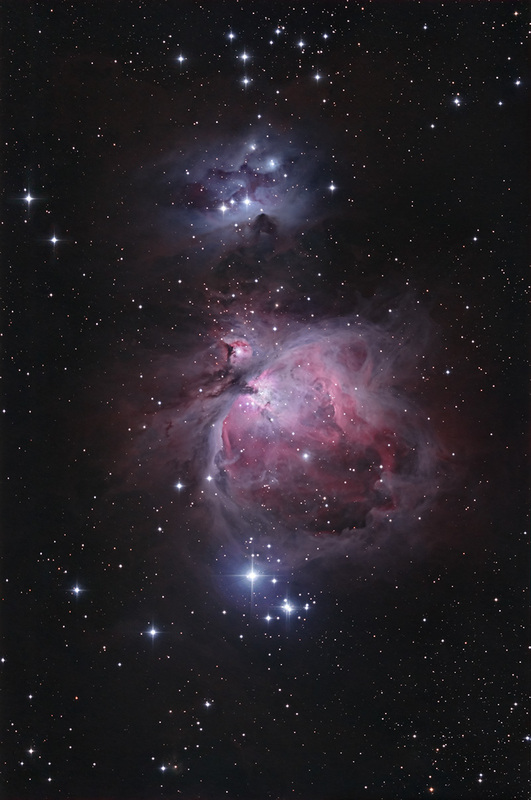 The sword of Orion; at centre is the great nebula in Orion, Messier 42; 11-inch Schmidt-Cassegrain telescope at 1,960mm focal length; image-mosaic; astro-modified DSLR camera. Below, a somewhat wider and deeper view made with the same scope at 560mm focal length. 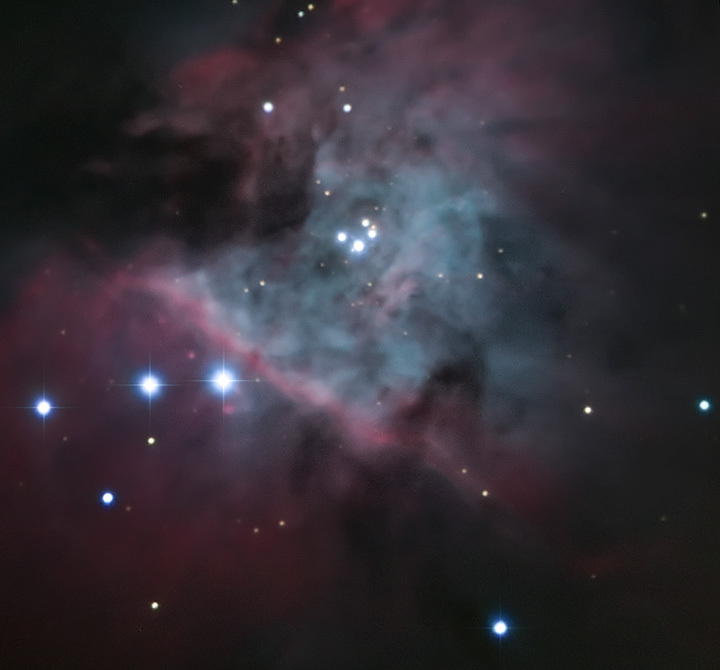 The open cluster at top is NGC 1981. Some of the finer, fainter structures in this complex are perhaps best seen in an inverted, 'negative' view; click thumbnail below for a larger image. 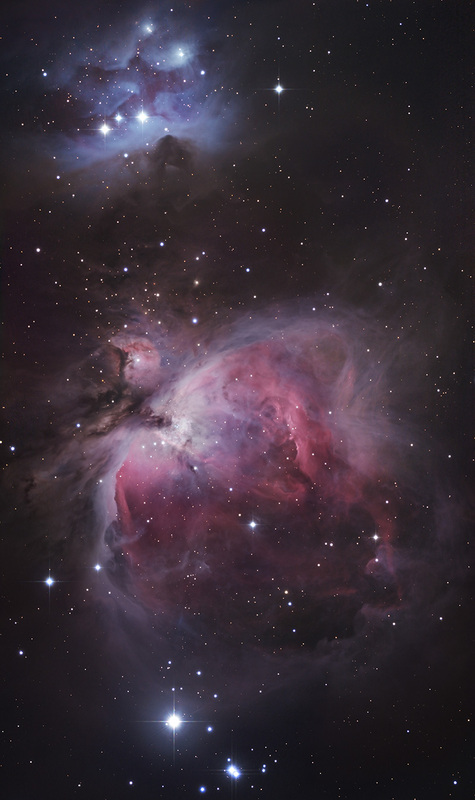 Below, a close-up view of the Trapezium group at the heart of M42.